Dr. James Davies did his medical school at University of Alabama. 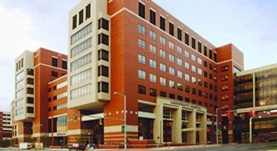 He completed his residency at University of Alabama Medical Center and Mayo Clinic. He also did his fellowship at University of Pennsylvania. He is board certified in the field of thoracic and cardiac surgery. Dr. Davies practices at University of Alabama Hospital and has contributed to three research publications. He is a member of American College of Surgeons, American Heart Association, American Medical Association, and the Medical Association of the State of Alabama. Dr. James Davies has contributed to 3 publications. Acharya, D.,Gulack, B. C.,Loyaga-Rendon, R. Y.,Davies, J. E.,He, X.,Brennan, J. M.,Thourani, V. H.,Williams, M. L.; Ann. Thorac. Surg.. 2016 Jan 01. Impact of Transcatheter Aortic Valve Replacement on Surgical Volumes and Outcomes in a Tertiary Academic Cardiac Surgical Practice. Davies, J. E.,McAlexander, W. W.,Sasse, M. F.,Leesar, M. A.,Melby, S. J.,Singh, S. P.,Jernigan, L. B.,Booker, O. J.,Alli, O. O.; J. Am. Coll. Surg.. 2016 Feb 26. Simultaneous transcatheter pulmonary and tricuspid valve-in-valve implantation for the treatment of failing pulmonary and tricuspid bioprostheses. Baig, M.,Alli, O.,Davies, J.; Catheter Cardiovasc Interv. 2015 Nov 29.